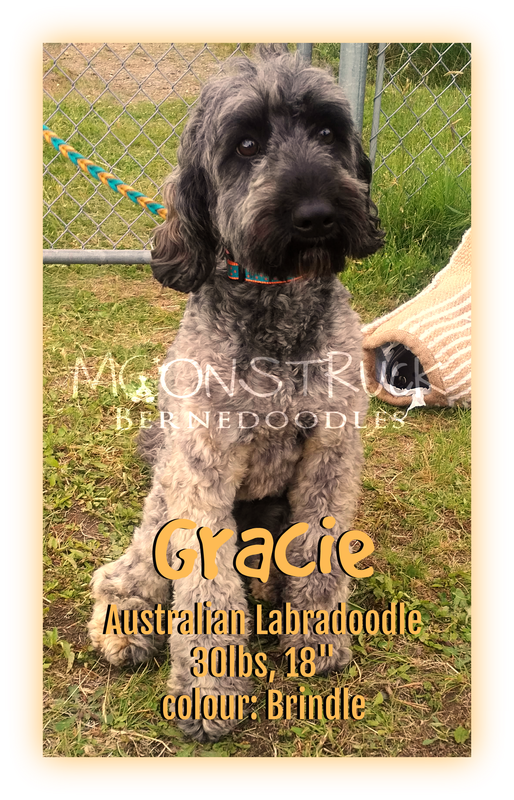 Gracie is a very calm, mild mannered, gentle, incredibly sweet multigeneration Australian Labradoole from Pinlodge Labradoodles in Oregon. 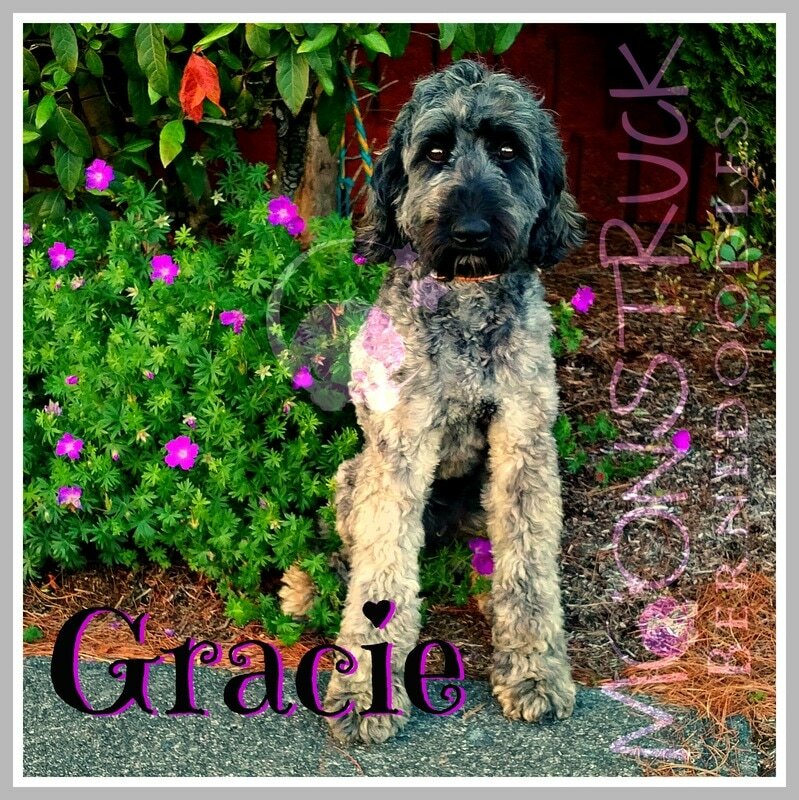 Gracie has an amazing disposition and is able to handle whatever we throw at her. 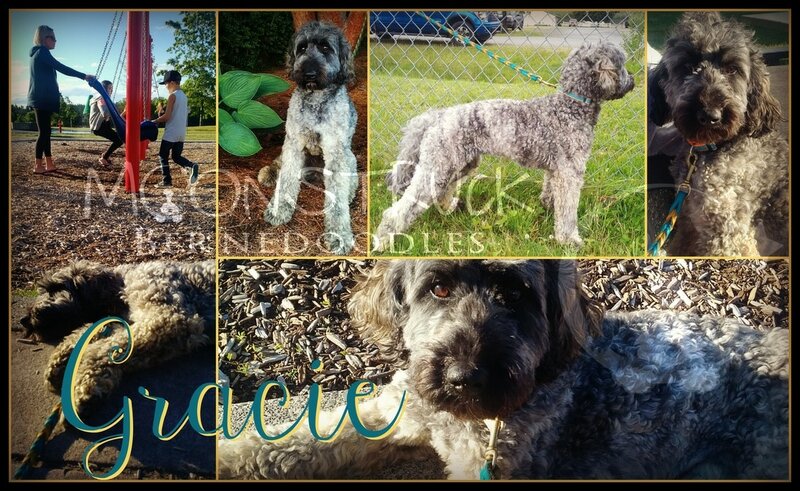 She is a great little companion, good with all animals she encounters and small children.